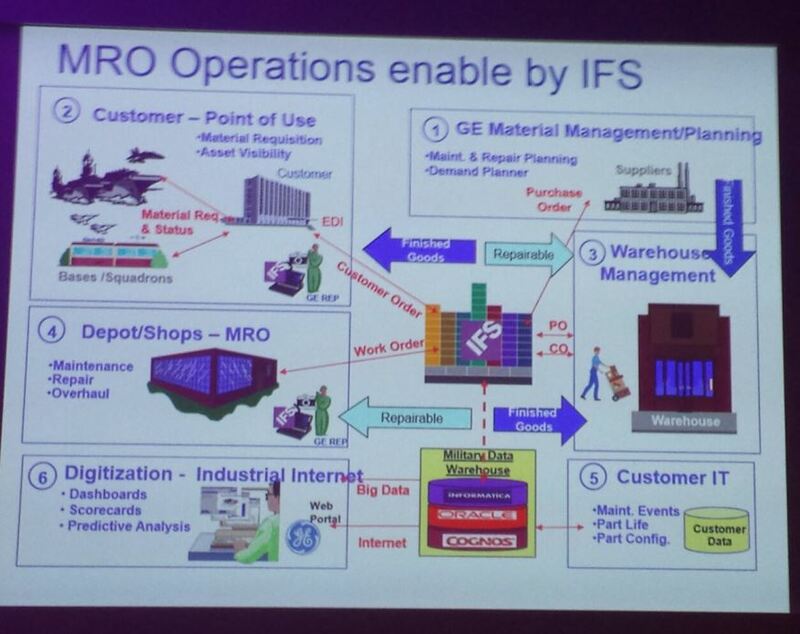 GE is truly one of the world’s biggest companies. The US giant has annual revenues of nearly $150 billion. Brian Slapshak from the Aerospace and Defense division came to Boston to explain how the company’s IT hub in Cincinnati, Ohio uses IFS Applications to manage all sorts of things from around the world. The system supports 4,000 out of 24,000 GE engines. The company, which Slapshak says has “innovation at its core”, counts on IFS to run everything from its material management in Massachusetts to material supply in Oklahoma to a its MROs in Florida, Texas and even Australia. It also processes the big data collected by the company’s new Silicon Valley, delivering ready-to-analyse info. 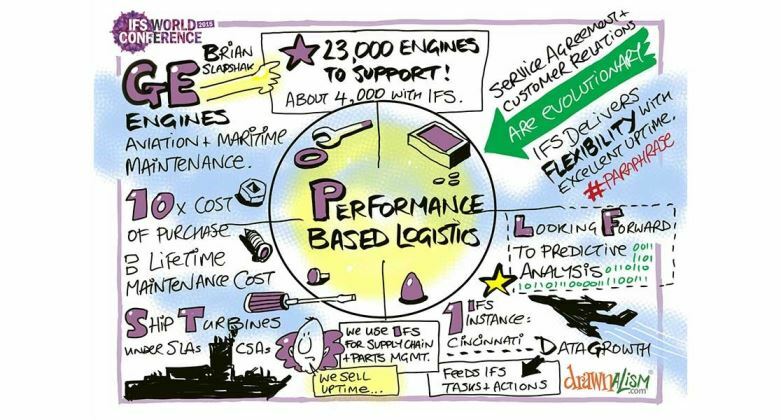 It’s been particularly useful in handling performance based logistics, aka long-term services agreements based on how well things perform (usually financially). But overall, basically, if a GE customer is sending over information using their own system, it gets translated into IFS. GE swears by it, saying it turns stress into serenity. It also played a key role in programmes recognized by the US Department of Defense for delivering integrated, affordable, support solution to optimize system readiness. Everything run out of Cincinnati, and the uptake is great.